For many years, there has been a restaurant in Toronto known as 7 Numbers. It’s a quaint and casual Italian restaurant, with food that could be best described as homemade meals and cooking. The original restaurant is on Eglinton Avenue between Bathurst and Avenue Road and the second one is down on the Danforth. The owner of the restaurant, Rosa, is often standing right in the kitchen and is an absolutely lovely woman. You have a couple different options to choose from when you come in: appetizers, primi / first courses, and your secondi / main entrees. In addition, there is the options of ordering a prix fixe family style meal, that includes a sampling of appetizers and several pastas, along with your choice of a main course. While there are some staples on the menu, they do change it up from time to time, so there’s always something new or different. While all of the food is quite tasty, my absolute favourites are the calamari, the fig and goat cheese salad, and the veal lasagna. As for mains? My go to dishes are the duck leg, the lamb shank, and one of the other popular choices….the veal meatballs. You get two huge meatballs with a tasty cheesy treat inside. In terms of drinks, there are several options for non-alcoholic and alcoholic, with wine served by the glass or the bottle. The seats and decor are very casual, with brown paper-covered tables, chalkboard menus, and colourful lighting. The kitchen is right at the front of the restaurant, so whether you’re looking inside or standing out, you can see exactly what is going and how your food is being prepared. It’s an awesome family business, with Rosa running the uptown restaurant while her son runs the downtown location, and both provide great service. Between the atmosphere, the service, and the amount of food you get, it’s a guaranteed fabulous meal for a reasonable and fair price. A number of my friends and colleagues have made 7 Numbers their go-to place and it’s become a place where regulars hang out all the time. 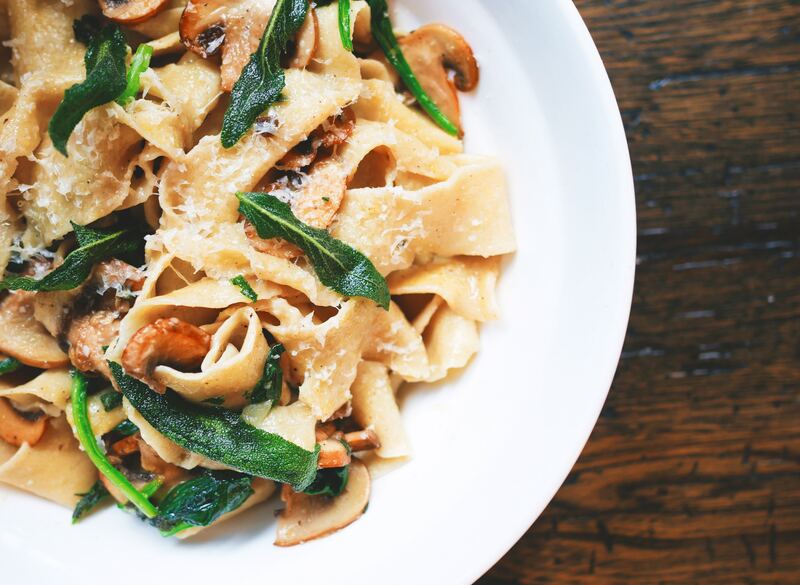 If you’re looking for some authentic, homemade Italian food, 7 Numbers is always a top choice. Buon Appetito! Toronto Christmas Market – Experience the magic of the holidays with carols, hot food, and plenty of handcrafted goods to choose from! Treat your kids to a storytelling session or pictures with Santa himself. You can explore the Distillery Christmas Market until December 23rd. Admission is charged on weekends only, beginning at 5 PM on Fridays. Skating at City Hall, Harbourfront, or The Bentway Skate Trail – Sharpen your skates and head on over to the shoreline of Lake Ontario, Nathan Phillips Square, or underneath the Gardiner Expressway. If you don’t have your own pair of skates, you can rent them for a small fee. Show off your skating (and dancing) skills at the Harbourfront Centre on their DJ Skate Nights! Christmas Lights Across Canada 2018 in Ottawa – It’s obligatory to include at least one light festival in every holiday list. Take a trip to Canada’s capital to be dazzled by festive lights across the city and the Magical Winter Lightscapes show projected on the Parliament Buildings. Day Trips to Niagara – The Falls are always stunning in the winter. There are plenty of casinos, restaurants, and museums in the entertainment district. Rochester, NY – For a quick overnight trip, visit Rochester, New York. The holiday spirit is very much alive with Christmas Markets and plays such as “The Nutcracker”. I also highly recommend the Minnesota Children’s Museum, as it has great exhibits that emphasize education mixed with fun. Ripley’s Aquarium – To see amazing creatures from under the sea, there’s always Ripley’s Aquarium. For the holidays they have special events such as breakfast with Santa! The aquarium is open daily from 9 AM to 11 PM. Eat Out – It’s never a bad time to take your family out to a nice dinner or lunch for some quality bonding time. Of course, nothing beats a home-cooked meal but sometimes it’s nice not to do the dishes. For those lazy mornings, go out for a nice brunch! Afternoon Tea – Feeling fancy? Head over to Fairmont Royal York for holiday tea and sandwiches at the Library Bar every Saturday and Sunday. A special new year’s day tea is also available on January 1st. Skiing and Snow Tubing – If you don’t mind heading up a bit north of Toronto, the ski hills are open at Snow Valley and Blue Mountain! For something a bit different, try out snow tubing—it’s easy and fun for the entire family. Whatever you choose to do over the winter break, all of us at SQM hope you have a safe and enjoyable holidays! We all have those lazy Sundays when we get up late, and look forward to having a hybrid meal that is not quite breakfast and not quite lunch. Here are some of my recommendations of some great places to go to in the GTA for a nice brunch. After all, you have to take a lazy, personal day, once in a while! Aunties & Uncles – One of the best brunch places around! The restaurant is near College and Bathurst and serves up a perfect combination of breakfast and lunch items. Choose from your good o’l’ pancakes to your basic sandwiches. It’s open from 9 am to 3 pm, and the restaurant only takes cash. The Stockyards – Located on St Clair Avenue West, The Stockyards is a small, restaurant that specializes in smoked foods, but has a number of other awesome items on the menu. When it comes to brunch, they are known for their fried chicken and waffles as well as their smoked trout sandwich, biscuits and sausage. Of course, you shouldn’t rule out their amazing brisket as well. Starving Artist – If you’re in the mood for something casual, one person at the office recommended Starving Artist. The whole menu is waffles (even the desserts), but you can get different kinds of waffles like benedict waffles or sandwich waffles. They have a great way of presenting the food, and it’s a fun place to go to! Rose and Sons – Rose and Sons is a delicious deli place that has a tasty brunch menu, with things like the New York cheesecake pancakes, pastrami, and chopped steak and onion grilled cheese. This small restaurant is on Dupont Avenue and while a bit pricier then other delis, it’s well worth it. Centre Street Deli – For those of you who can’t make it downtown, there’s a local deli in Thornhill that serves a variety of chicken and beef platters and sandwiches. Although they are known for their smoked meat sandwiches, their breakfast menu also includes eggs, bacon, toast, pancakes, and omelettes. It’s an easygoing family-friendly location – perfect for something delicious and casual. Rol San– If you like dim sum, this is the place to go! The restaurant is located on the east side of Spadina Avenue, two blocks north of Dundas, across from Kensington Market. If you swing by on a weekend, be prepared to wait a little due to its popularity. The dim sum menu is expansive, but you also want to try some of their other dishes from the regular menu. Get a taste of some authentic Chinese food and consider visiting Rol San. 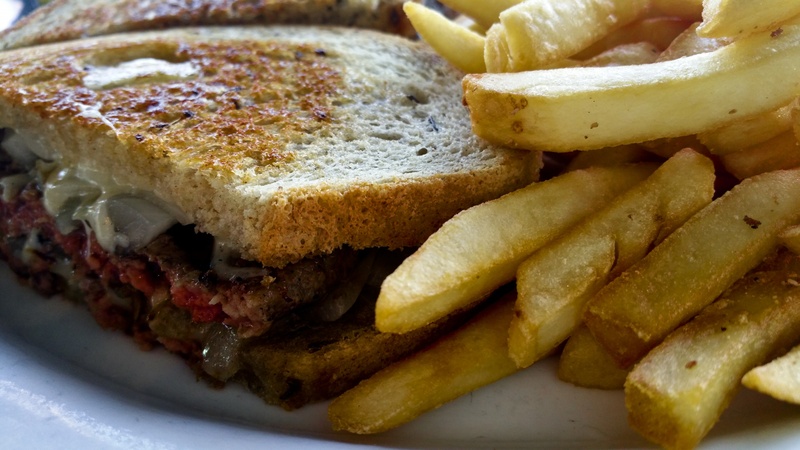 Steve’s Restaurant– Steve’s is a classic restaurant, and while the original location on Bathurst Street closed a couple of years ago, their second restaurant on Yonge Street, in Thornhill, is still very much up and running. Their famous all day breakfast menu is to die for, with things like back bacon and eggs, New York steak and eggs, and a great club sandwich. They also serve up a mean omelette, with pancakes, crepes, and waffles to choose. Easy Restaurant– In Parkdale, on Queen Street West, you’ll find Easy Restaurant. They specialize in Mexican food and have an all day breakfast menu with amazing omelettes. Choose from breakfast burritos, a breakfast quesadilla, or a guacamole BLT. Maha’s– If you’re in the mood for something different, look no further then this popular restaurant which serves up Egyptian food. Try the Egyptian falafel, Maha’s award winning lentil soup, or the Cairo classic. The service is friendly, the menu is unique, and I’d definitely recommend Maha’s if you’re looking for something other than bacon and eggs! Several months ago, I was watching a TV show called You’ve Got to Eat Here, which was highlighting a restaurant in the Toronto area called Kinton Ramen. Since then, the company has expanded to open several location in the GTA. For those of you that don’t know what ramen is, it’s a unique Japanese dish that consists of soup, noodles, and a protein, all served in a big bowl at a bar or a small table. The location that I’ve now visited a number of times is located on Yonge Street in between Sheppard and Finch. Every time I’ve been there, whether it’s for lunch or dinner, it’s always busy but despite the fact that every table is always taken, the line moves fast because people get served quickly, eat quickly, and then leave. 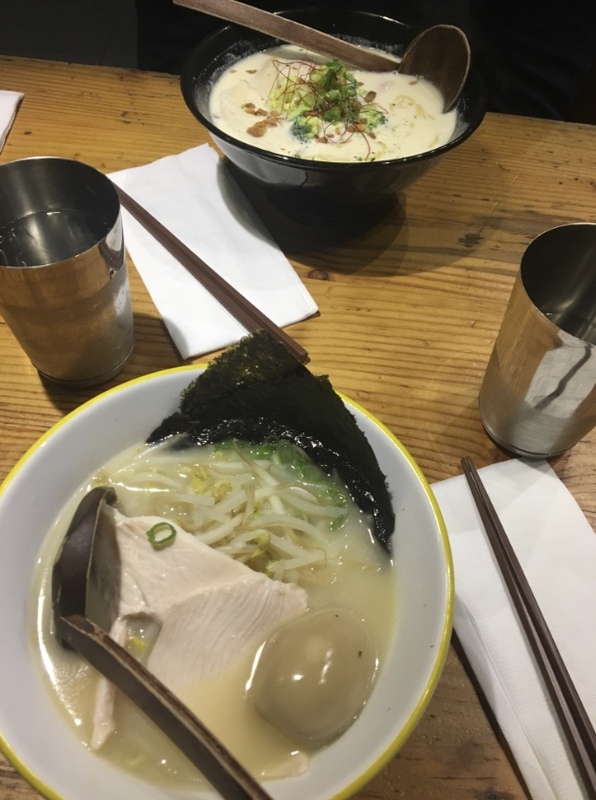 For the ramen, you have different options including thick or thin noodles and pork, chicken, beef, fish balls, and more for your options of protein. Everything I’ve tried arrives steaming hot, nicely cooked, and is super tasty. It’s also not an expensive meal, so two can dine for under $40.00 including tax and tip. The staff at this location are incredibly friendly, knowledgeable about menu items, always willing to make suggestions, and work extremely efficiently. Within minutes of placing your order, your drink is delivered and if you’ve ordered an appetizer it comes hot and fresh, with your delicious ramen right around the corner. Personally, I always chuckle when people are leaving, as all the staff shout “thank you” and “good-bye” in Japanese. The restaurant has a fun and lively atmosphere. I highly recommend it if you’re looking for something different and authentic, whether it’s a quick lunch, heading out on a date, or just grabbing a bite. Rose and Sons: All grown up….and delicious! A couple of weeks ago, I stopped by the revamped Rose and Sons to take my wife out for our anniversary lunch. Rose and Sons was the first of a unique set of restaurants, such as Big Crow, Fat Pasha, and Schmaltz Appetizing -all owned by Anthony Rose. Rose and Sons is a tiny hole in the wall, that when originally opened, could best be described as an upscale diner. It was a licensed establishment, with amazing dishes and high-end comfort foods. The location at Dupont only fits about 20-25 people, but it’s always busy and popular. Back a few months ago, restless for change, Rose and Sons revamped their menu, and instead of a diner, it’s now an old school delicatessen. I was a little skeptical at first, but I’ve heard nothing but good things. Chopped liver was our appetizer and was absolutely amazing. This was followed by my wife and I both ordering pastrami sandwiches…which is the house specialty, brined in house and smoked at Big Crow. As a funny aside, it was a tough choice for my wife, choosing between that and the smoked turkey, so I jokingly mentioned to the server that if any turkey fell onto the plate, I wouldn’t complain if they left it there. Low and behold, the cook overheard this and put a few pieces of turkey on the side for us to try. Aside from the sandwiches, we also tried the thick cut french fries, which were served hot, crispy and perfectly salted. Lastly, how could we not share a dill pickle? All of the food came out hot and fresh and the chopped liver was not only attractively presented, but delicious! The portion sizes were generous and we left stuffed. Though there were only a couple of servers due to the size of the restaurant, the service was fast, friendly, warm and the employees were very knowledgeable and excited about the new menu. The cook was also extremely friendly and clearly strives to provide customer satisfaction. 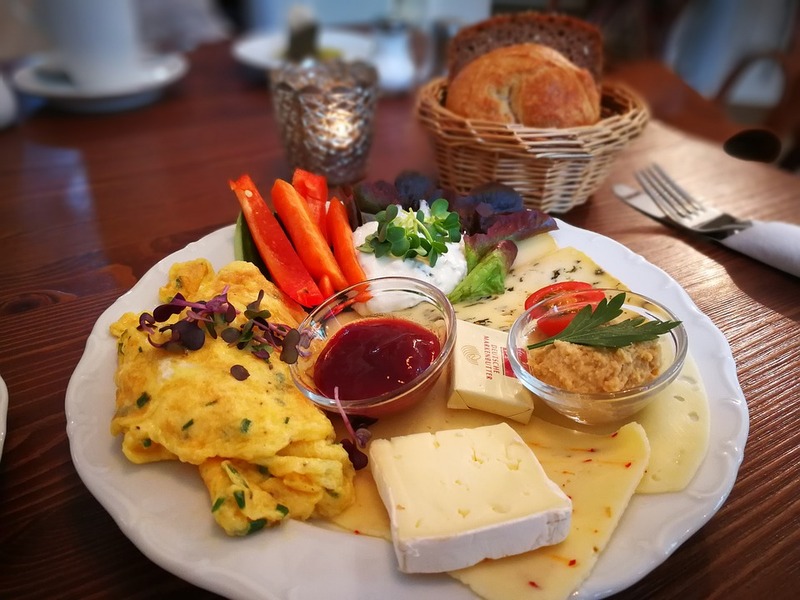 The price is a little north of your typical delicatessen and you may end up waiting for a table as it can be busy on weekends, but it’s worth every penny and every minute of your time. For those that know me, even though there are a lot of restaurants I enjoy, there are very few restaurants that I really look forward to going back to. This is one of them. While I will miss the diner (the patty melt remains on the menu! ), I am happy to welcome a superb deli experience! Leela will show you a great night on the town! Recently, when my wife was out with a friend, they went to an Indian restaurant in The Junction area. When my wife returned home, she said she had a great meal and that it was a little different from most Indian restaurants she’d been to. The place is called Leela Indian Food Bar and they describe their restaurant as “a journey of old Indian streets, with dhaba-style food”. 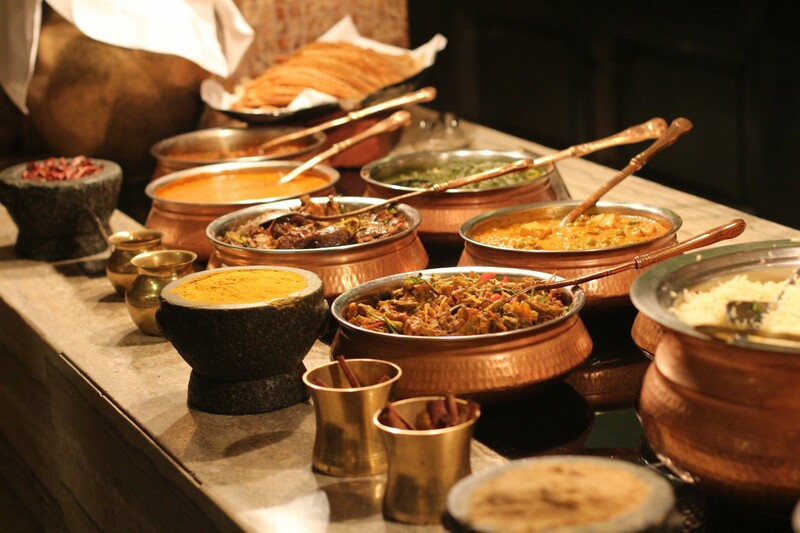 The menu covers all regions of India, but has some different and authentic Indian dishes. My wife has been wanting to go back for a repeat visit, so this past weekend, we made a reservation and headed there for dinner. The restaurant is a small, rustic, but modern place, with approximately 30 seats. It has an open kitchen so you’re able to see the entire cooking process. When we arrived, we were greeted right away warmly and seated at a table that was already set for us. We were quickly approached by the server, who was very pleasant and knowledgeable about the menu items. Unlike most servers who don’t make recommendations until you ask, he told us all of his favourites and recommended items according to our tastes. Even though they prepare all of the dishes as they are ordered, the food arrived quickly. All of the dishes were hot, fresh and everything was really beautifully presented. During the course of the meal, the server was extremely attentive and made sure our water glasses were always filled. We received the bill soon after we had asked or it, and the payment was taken promptly. As we were getting ready to leave the restaurant, we were thanked for coming, given multiple coupons for a return visit (good for any night of the week….no restrictions!) and headed out for a walk in the neighbourhood. Whether it’s just a night on the town, a first date, or a family function, Leela has great food, great atmosphere and is something a little different. 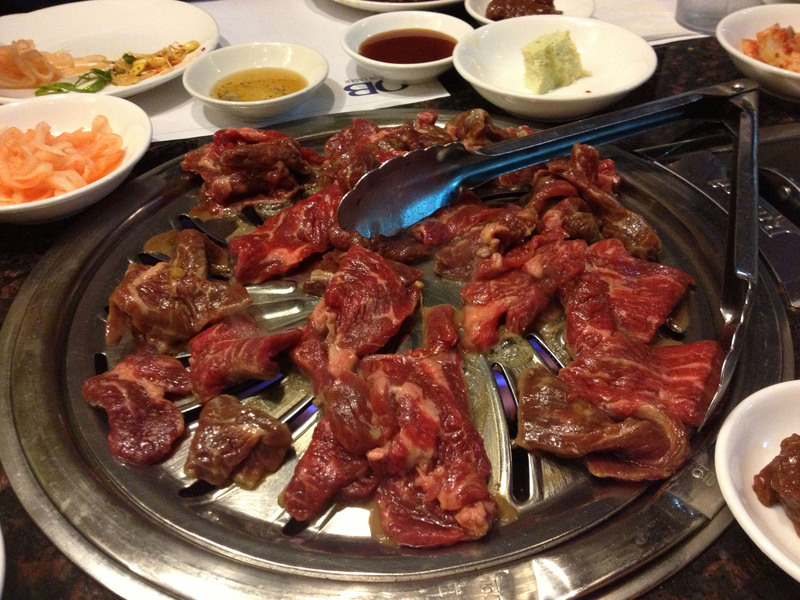 The Olympics are over…but the newfound appreciation for Korean Cuisine goes on! A few weeks ago I was getting together with a former SQM employee and for a bit of fun I gave her the challenge of picking the restaurant. She asked me if I preferred better food or a fancier place and I responded that I’d like better food. I don’t care how fancy it is as long as the place has good food and a good atmosphere. Since her background is Korean, she picked a popular Korean restaurant near Yonge and Finch in Toronto. Huh Ga Ne is a traditional BBQ restaurant that is open 24/7. They have your regular tables and the more traditional ones where you sit on the floor. I’ve been there three times now and it has always been insanely busy! The restaurant offers authentic, ethnic, and delicious cuisine! The staff are very friendly, helpful, and are happy to make recommendations. I’ve tried both hot pots and barbecue…both options are excellent and filling. They have a nice selection of beers and drinks to choose from. Other than one small television that is usually tuned to CP24 and the news, all of the other, large screens are constantly playing kpop, which I personally find adds to the fun atmosphere. It truly is a relaxing, casual place, with a great Korean atmosphere. Given the amount of business, the products are certainly fresh, and even though I’m cooking some of it myself, it has always turned out to be tasty and flavourful. Even better, it’s reasonably priced….two to three people could eat for $40.00 -$50.00 depending on what you order. If you want something not too far from midtown Toronto, and a fun, authentic experience, I suggest this cozy Korean spot.